PHOTOS: Carbon capture: The oil company executive in the bow tie places the carbon in a bottle, which is then stored underground by his corporation for billions of dollars. Or something like that. If the bottle breaks, of course, we’re screwed! Actual carbon capture schemes may not appear exactly as illustrated. Below: Premier Rachel Notley, Education and Culture Minister David Eggen and Infrastructure Minister Brian Mason. Alberta’s new NDP Government too often sits passively by and lets other people, who are not its friends, frame important issues for it. Needless to say, when the Wildrose Opposition, the Conservative rump in the Legislature or the usual suspects in the mainstream media tell the story, they’re not going to spin it in a way that benefits the NDP program. So this kind of docility has the potential to hurt our NDP Government if it doesn’t get fixed. Getting in front of a story means anticipating that there’s going to be a story, thinking in advance about how you’re going to respond to it and being ready to say something as soon as the media demands answers. To do this well, a skilled political communications person needs to be able to think like a reporter, as well as like a policy wonk. Getting in front of stories also means being prepared to bypass the media, right from the get-go, if they’re determined to spin their narrative in a way that hurts you. When that happens, a government needs to be able to take its arguments directly to citizens. The federal Conservatives led by Prime Minister Stephen Harper are very good at that, and you don’t have to approve of their policies to admire their skill at controlling the agenda. The Ottawa Tories do another thing right. They don’t ignore their base. Indeed, they may feed them too much red meat. But the Alberta NDP leadership needs to remember they have a base too, and politically speaking it’s not exactly vegan either. Satisfying conflicting political appetites can be a bit of a balancing act in a province with many essentially conservative voters and a historically effective conservative movement that won’t be divided forever, but the NDP base is ignored in the government’s policy mix at the party’s peril. As for throwing the Conservatives under the bus, that simply means making sure the people who created the mess the NDP was elected to clean up get to take the credit they richly deserve for what they’ve done. Politics is a tough game, played with the elbows up, and if you can’t throw in a body check or two yourself, you should think about taking something gentler and more polite – like cage fighting. Seriously, people, if you can’t dish it out in politics, you’ll get carried out! D’ya seriously think the other guys will cut you a break in the same circumstances? Even when there’s no one to blame for a problem, though, voters deserve to know immediately what you’re doing about it, and what you plan to do to make sure it doesn’t happen again. There are several recent examples that suggest the NDP is too being genteel, too passive, and much too slow making up its collective mind when it needs to deal right away with potentially dangerous stories. The government waited nearly a week in silence before announcing on Tuesday that Environment Minister Shannon Phillips and Energy Minister Marg McCuaig-Boyd would tour the site of Nexen’s Long Lake pipeline spill today. When events like this happen, a coherent statement needs to be available immediately, and a minister on the spot just as fast. The statement needs to say what’s being done to clean up the mess, and what’s being done to make sure it doesn’t happen again. There are other examples. Consider the government’s apparent shift from its pledge to shut down the Tories’ massive carbon capture boondoggle. 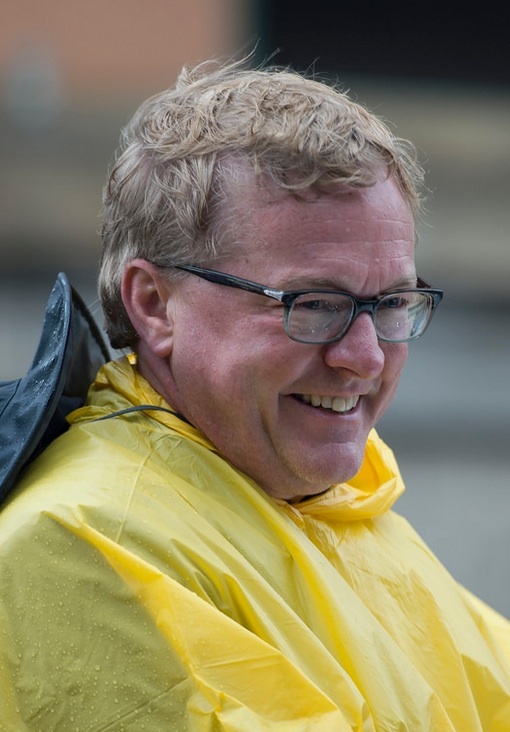 Premier Rachel Notley, Infrastructure and Transportation Minister Brian Mason and Education Minister David Eggen rightly excoriated this expensive and impractical scheme when they were in opposition. I expect the beneficiaries of the Tories’ insider deal wrote huge penalties into their contracts that mean it would be more expensive to close down the boondoggle immediately than to allow the clock to run out on it. 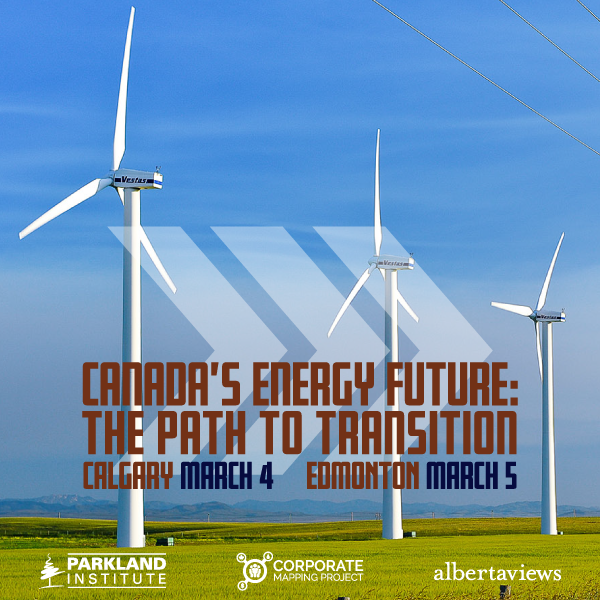 But if that speculation is right, Albertans need to know. Right now it sounds to a lot of voters, many of them NDP supporters, that the New Democrats are breaking a promise, just like the Tories used to do. There’s the CBC’s scoop Tuesday about the way rural funeral businesses seem to have been able to get the last Tory Government’s Justice Minister to order his staff to reopen a government contract that didn’t suit them. The CBC couldn’t get a senior New Democrat to comment! So the Wildrose Party’s “accountability” critic, Jason Nixon, got the glory slamming the Tories with what the government should have been there to say. The only government statement came from senior officials, defending what they did when the PCs were in power! And speaking of senior civil servants, where was the explanation when the NDP shuffled several deputy ministers, some closely tied tied to the PCs and known to be no friends of working people, the afternoon before Canada Day? The NDP base wants to know. Seriously. The NDP isn’t always so docile responding to messes made by the Tories, thank goodness. 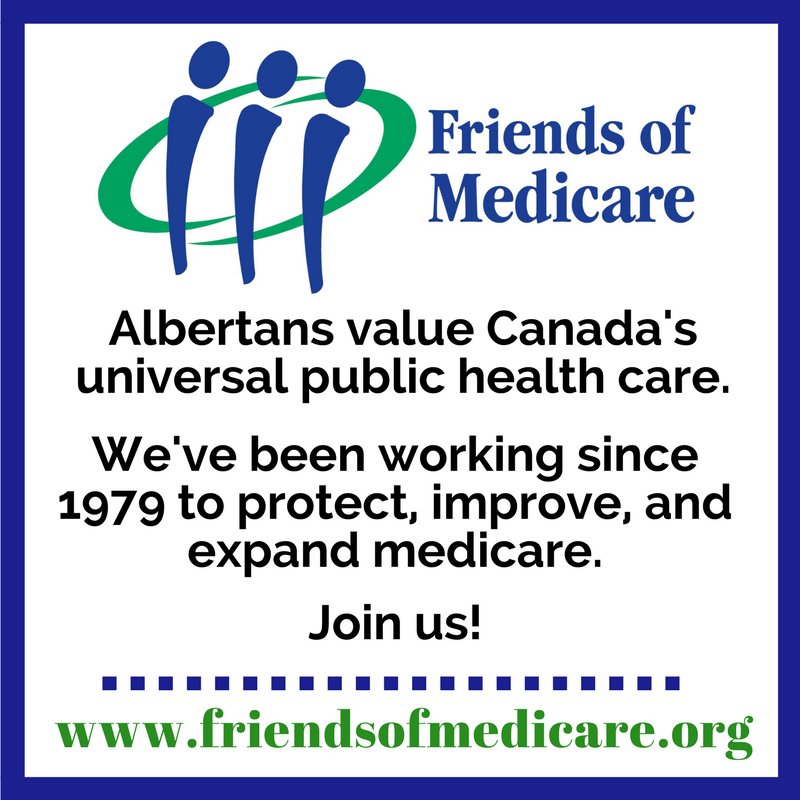 Public-private partnerships are a bad deal for taxpayers and governments, and a burr under the saddle to NDP supporters. They’re really only good for the corporations that get the subsidy. But when the NDP announced it would go ahead with a P3 section of the Calgary ring road, Mr. Mason did a good job of explaining why. The clock was running out on the window in which the agreement with the Tsuu T’ina First Nation that would allow the road to be built. If the deadline wasn’t met, the deal could fall through or be delayed. So if the government dumped the P3, even for the right reasons, a badly needed road might never get built. Ergo, the only way to ensure the job got done was to get on with the process already in place – flaws and all. Thanks to Mr. Mason’s communications skills, we voters know why we’re going to pay more, who’s responsible and that the government knows how to avoid the problem in the future. 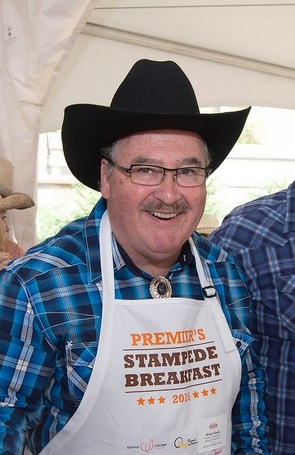 Even the Wildrose Opposition cheered – how could they not? It’s important that the NDP applies this lesson quickly to other departments because there are a lot of problems in this province that desperately need to be fixed. The mess we face was created because the Conservatives were in power too long. Their troubled legacy can’t be repaired by the Wildrose Party because the Wildrosers and the Tories are essentially the same people with the same philosophy and they’ll do things the same way. So it’s quite important, actually, that the NDP Government get re-elected in four years’ time, and that means they have to improve their communications game now. Sorry to say that. But better the government hears it now from its friends than the hard way, from disillusioned supporters and dissatisfied voters, when it’s too late to do anything but cry. Fast food and fair wages: What happens when a good idea from Alberta hits the big time in New York? Agreed, Dave, but it’s even more important for the NDP government to emphasize in each case how they are going to do things differently in future. It creates lots of cynicism when a new government appears to be doing things the way the old government did–including allowing egregious PPPs, which mean a permanent future burden for taxpayers to benefit private companies–, even if the chief reason is because actions of the previous government make it impossible to change course on certain projects. The pressure from business and from Tory-friendly civil servants to view governments as unable to carry out construction projects or anything else on their own without involving friendly Henrys from the private sector who can then charge back to citizens forever is no doubt daunting. I doubt that the NDP Cabinet want to buckle under to these pressures and I hope that once they move on to projects that are more than leftovers from Tory days that they will follow their own instincts. 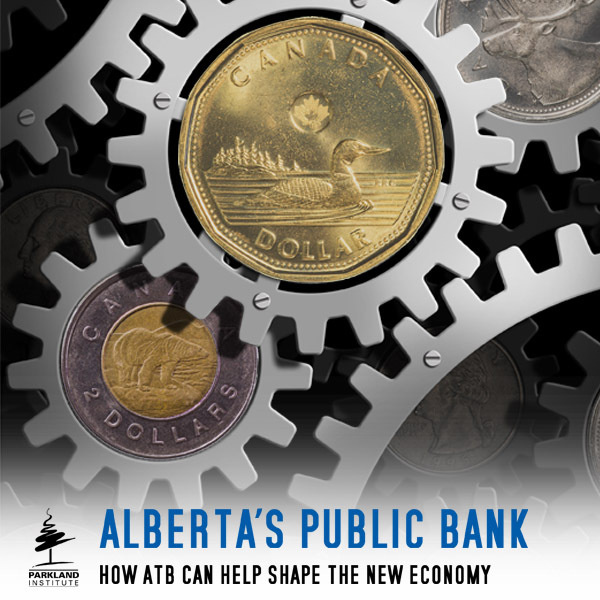 The NDP are missing a golden opportunity that summers provide. If they have anything remotely controversial, and what isn’t according to their detractors, implement it NOW. The summer is short and the population knows it. That is why they take advantage of it to enjoy it. This tuning out by the masses means is the best time for a newly elected government to implement its agenda. Do it quickly, do it hard and do it often. Four years go by very quickly and they may not get another chance like this. How noble. Miss (Mrs.?) Notley vowed to do things honourably, honestly and differently than the previous band of misfits and was elected with a mandate to do so. You want her and her government to become the latest in a long line of scoundrels? I’m glad you’re talking up this issue David; it’s a serious blemish that will turn to rot if not addressed right away. This gov’t was elected to make some changes and they had best get on with it. One of the signature hallmarks of change is that things are NOT done in the same way. Until there are dozens, if not hundreds of lay-offs and firings in the upper ranks of government service we can be sure that things are being done in the same ol’ way, namely as Klien and his corporate masters have demanded for the last 25 years. A new, progressive policy simply cannot be carried out by a died-in-the-wool, true blue believer and mouthpiece of neo-con dogma. Ain’t gonna happen! Best thing for these types is the curb, right next to the gutter where they got their ideas from. It’s long past time that the Notley gang start to make some decisions, and btw, we expect ‘good’ decisions. The incompetence, the malfeasance, the criminal irresponsibility within government operations continues unabated. Why is AER still associated with government? Why are we still having fortnightly auctions of drilling and energy rights? Why can no one point to a single initiative of this new government that shows how they’ll operate and what they believe in? … besides announcements of spending and tax increases that is. This is the 1 quibble I have David. Your dismay at a lack of timely communications is shared but ‘Talk is Cheap!’. Their attractiveness for a second term will be measured on what they DO. So far, not much. We are well into the game now. 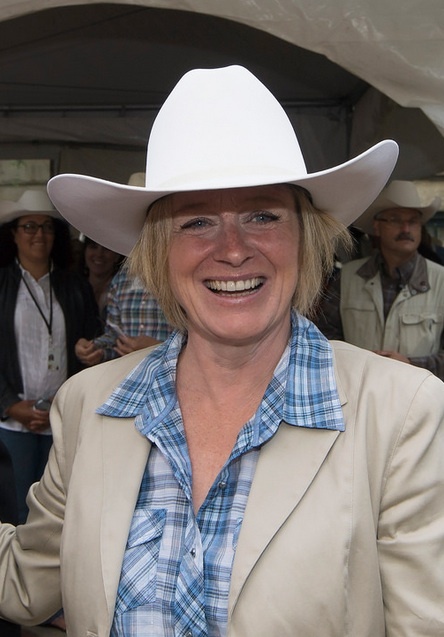 Maybe Notley needs to put her hat on the right way…. Sadly, a lesson Harper et al learned at the feet of Klein. Central control and vetting of EVERYTHING in the Premier’s (and now PMO) office all paid for with our taxes. Not quite sure of the numbers, but PR personnel in Klein’s office went from less than 20 to well over 120 in a matter of months … and those weren’t minimum wage jobs funded by tax dollars. Then add on a bloated cabinet at both levels of supposedly frugal so-called Conservatives governments, stuff eunuchs in Cabinet that dutifully ape talking points dispensed to the Poilievres and Calandras of the political world written by backroom kids that, often like their political overload, have never really experienced the “real world” or a “real job” outside of politics. Harper learned much more from Chretien than from Klein. This morning’s Metro story about how 34 NDP MLAs have failed to open constituency offices is a perfect example of an insignificant story that will hurt the NDP if it’s ignored, but that can be defused with a quick response from the party about how complicated it is to open offices, etc. etc. Bet they don’t say anything for days. Maybe Ms. Notley needs to have a “blog” or something along that lines. Where she can vent out loud her problems on trying to run a gov’t. etc. More importantly she can highlight upcoming developing issues that will need attention and wonder aloud “what should I do?” And then invite citizens to give their two cents worth in a comment section. Sort of a direct dialogue between the premier and the people, bypassing the usual gatekeepers in the media, and framing the debate in their terms. I know I’m 1,700 miles away from Edmonton but I think I can grasp what you’re saying. New governments are supposed to act and respond quickly because the initial enthusiasm can wear off quickly once the opposition and the MSM start blasting away. Ms. Notley can start by hiring a battle scarred union warhorse to get the beast moving. She has to realize that the other side isn’t, wasn’t and never will be placated until the NDP is driven out of office no matter how nice her government treats them or how many right wing policies it adopts. (Obama anyone?) Yes, I’m a long way from AB but the scenario is the same wherever the NDP gains power. Frustrating, isn’t it? Dave, they need to hire you to write press releases. Nice of you to say, but then who would write this blog? This is a part of the ABNDP’s learning curve. They need to learn how to play the game of politics properly. I agree with TC on this point, in fact, leastways that this is probably so. But institutions like political parties and governments being what they are, it needed to be said. What of all these supposedly experienced NDP hands from all corners of the country populating the back corridors of our new government. I thought Brian Topp was a political genius, coalitions notwithstanding. This is not about playing the “game” of politics. This is about using the power of government to do good things in line with the mandate the NDP received. Klein and Co. certainly understood this is no game as do Harper and his cronies. These neo-cons understand this is a Westminster system of government which essentially means an almost wholly unconstrained dictatorship. Klein, Mulroney, and Harper used their dictatorships ruthlessly and without any respect for the rest of us. Notley and company need to get real and use that power while they still have it or they can go back to sitting around the camp fire with their pants down singing Kumbaya. Of course it’s a “game” of politics. This is because although I agree that the NDP should do good things, they can’t expose themselves to any political liabilities. Please understand that we don’t live in an ideal world. Optics matter. Klein and Harper certainly know that “game” very well. The game is a part of the title of this post: throw the Tories under the bus where they belong. Games have zero real world results. The Tory filth have destroyed lives, institutions, eco-systems and even compromised our language. …but on the other hand, this may actually be a not unreasonable strategy to move slowly on the red hot demands of the base. I recall how the federal Conservatives moved relatively slowly in 2006 (granted they had a minority); I was in the the thick of it and, honestly, they didn’t seem all THAT scary the first couple of years – they actually seemed willing to work with their enemies. Of course, that mask was ripped off after 2011 and we were shown the horrid monster behind it. But there is something to be said for not scaring your electorate too much at the outset. None of the above negates anything you have to say about tightening up communication in the Premiers office, which needs to be top priority. We could FOIP the contracts. I think those parts of the contracts cannot be withheld under the FOIP Exceptions.